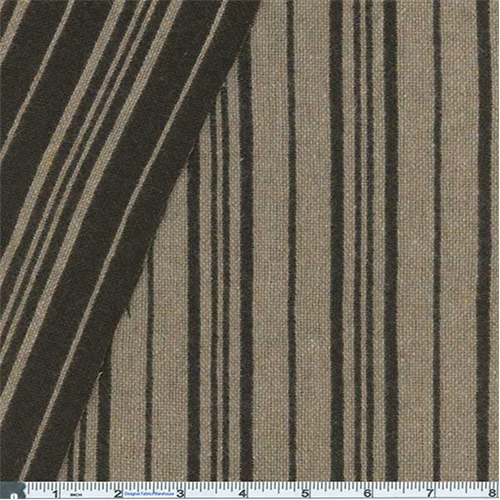 Wool Blend Double Cloth Reversible Stripe Fabric By the Yard, Brown/Wheat. Midweight yarn-dyed double cloth reversible woven stripe. Warm handfeel, not drapey. Suitable for cool weather skirts, dresses, and overshirts - use with a lining for more polished tailored garments.